Getting it done now will make easy work in Spring. The weather is still warm and working with cleaning products and water is much more fun in the heat rather than the cold of winter. Your concrete will look fantastic over winter and you will be the envy of the street. How Deep Should I Clean? Firstly determine whether the task at hand is a light easy clean or a more extensive heavy duty clean. Throughout this entire procedure, work safe. Gloves, eye protection and a mask if working with chemicals. I suggest long sleeves and wellington boots as well. Easy clean: This can easily be done by using a deck broom or a more robust stiff brush broom and general all-purpose cleaner. Always work wet. Soak the entire area before applying cleaners and keep the hose handy to wash as you go. Chemical Clean: Source the product through any reputable hardware store. Actual concrete suppliers will stock the right product for the job. Always follow instruction on the bottle. Sealed concrete: Working with a previously sealed surface may only need a light clean. However, if stains (oil, grease etc.) are apparent removal is imperative before sealing. Use degreaser or hydrochloric acid. (warning: always wear protective gear and never inhale fumes when using chemicals). The aim is to loosen and lift oil out of the concrete. Using hydrochloric acid is dangerous to health and can also alter the colour of your concrete if not used correctly. Always follow instructions on the bottle. If this job seems out of your realm, then it’s time to call in a professional. Always get three quotes, check previous work, and ask for ABN number and proof of insurances. Now is the time seal your concrete and have it ready for the next hot season. Using sealers again can be tricky and you should always read instructions and ask lots of question when purchasing the product. 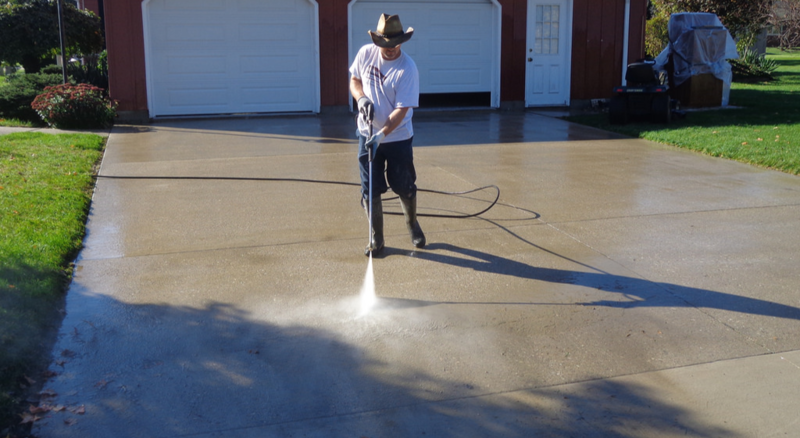 There are some very good professional companies that can clean and seal concrete at a reasonable price. You Tube can be a great place to go and watch how it’s done. Now clean, clean, clean.